Offering you a complete choice of products which include dry mortar mixer and ploughshare mixer. Dry Mortar Mixer offered support for quality dry mortar product line and features centralized control system, as well as easy, operating features which make these high on performance. 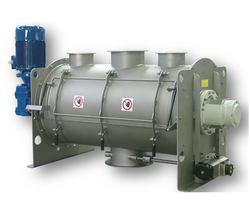 Further, these mixers also come with advantages like superior resistance to cracking as well as providing for moisture proof usage. Please note that costing will be varied according to cpacity of mixer. 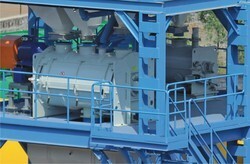 Please note size of mixer varies according to plant capacity. Looking for Dry Mortar Mixer ?